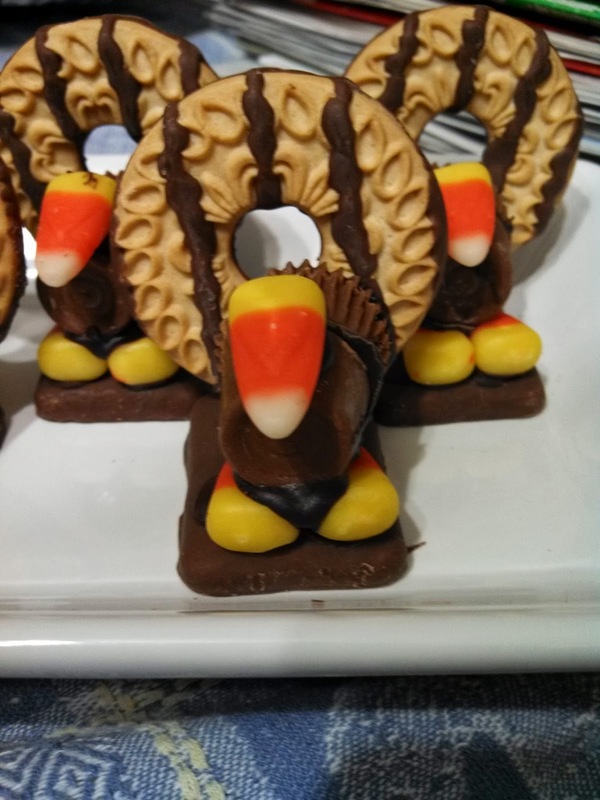 I have seen many recipes floating around Pinterest, the blogs and other recipe sites for a while now about turkey type desserts. This recipe though is one of a kind and very unique, I've been making these guys since I think undergrad. People always ask where I got the recipe and honestly I can't remember for the life of me ... probably some wise old mystic handed it down through the generations to me ... or maybe mom? Wherever I got it I'm sharing it with you now! This is always my thing that I like to bring to our Thanksgiving meals and it always goes over so amazing. People love how cute they are. 1. Unwrap all Reese Peanut Butter cups and Rolos. 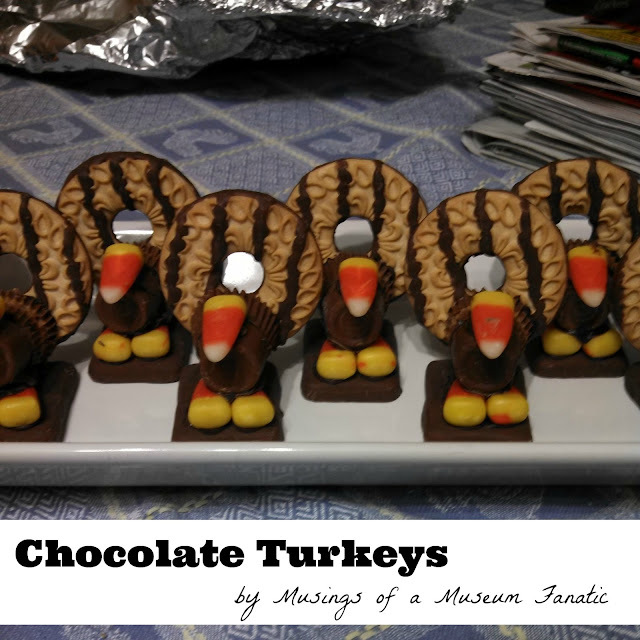 Set these aside on cutting board or cookie sheet. Seriously do this or else life will be really difficult for you later. 3. 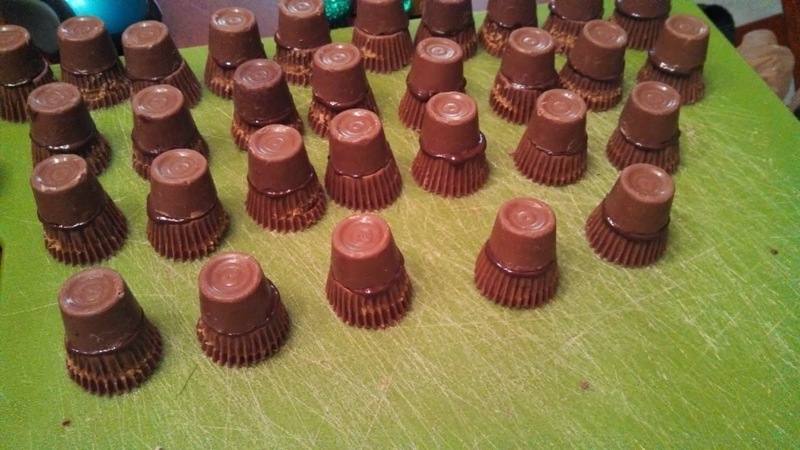 Using a butter knife or small spreader spread melted chocolate on the wide end of the Rolo then press it to the small end of the Reese's. Allow the chocolate to solidify. 4. 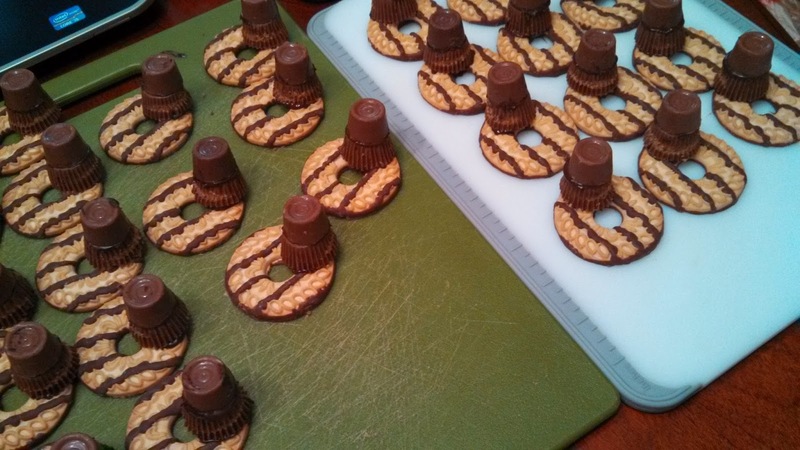 Spread chocolate on the wide part of the Reese's then press onto stripped cookie. Set these aside and allow to solidify. 5. 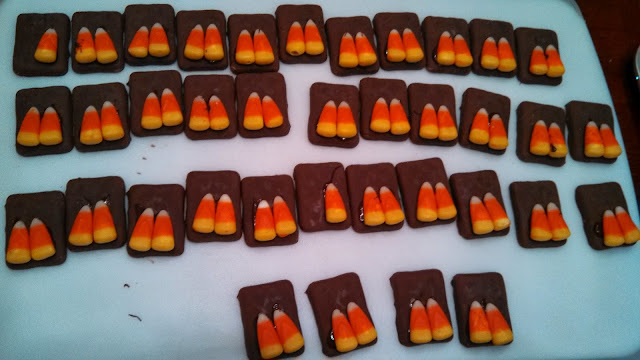 Spread melted chocolate on candy corn then place them at one end of the square cookie, wide part on the edge. Be sure to melt more chocolate bark or chips as needed!! 6. 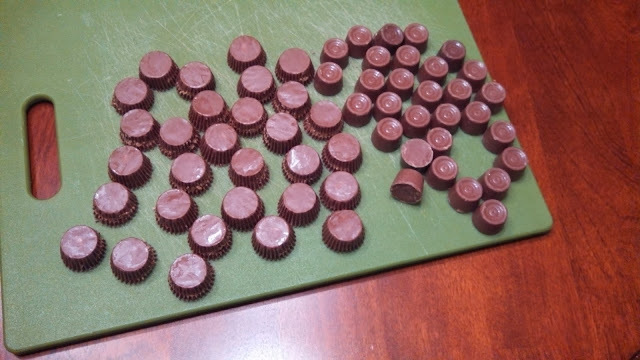 After both parts are solidified spread chocolate onto the bottom of the Rolo/Reese's body and press onto base. You might need to move it around so it doesn't slide to the side or back. 7. Take candy corn and dab the wide end into the chocolate and put on the edge of the Rolo making it look like a little beak. These are so cute! 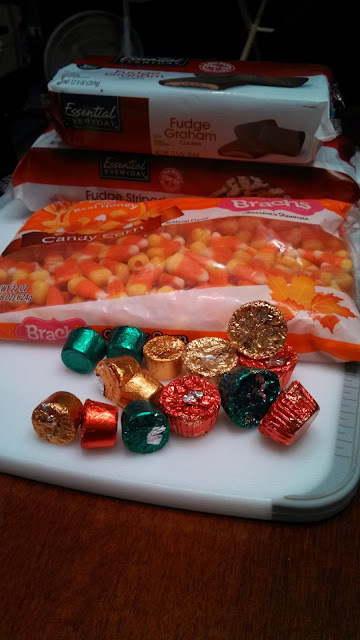 I might have to try them next year. I saw something similar on the cooking channel this year, but I like your version better. Thanks! I have never seen anything quite like these guys before so I always love when I hand them out to people and they're so excited. Even the IT guys at work thought they were amazing haha.